The former "America's Got Talent" judge discusses his new talk show. 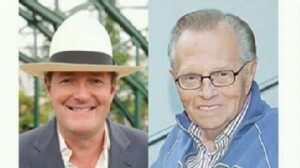 Piers Morgan will reportedly take over for Larry King on CNN. King hosts final episode of CNN's "Larry King Live."